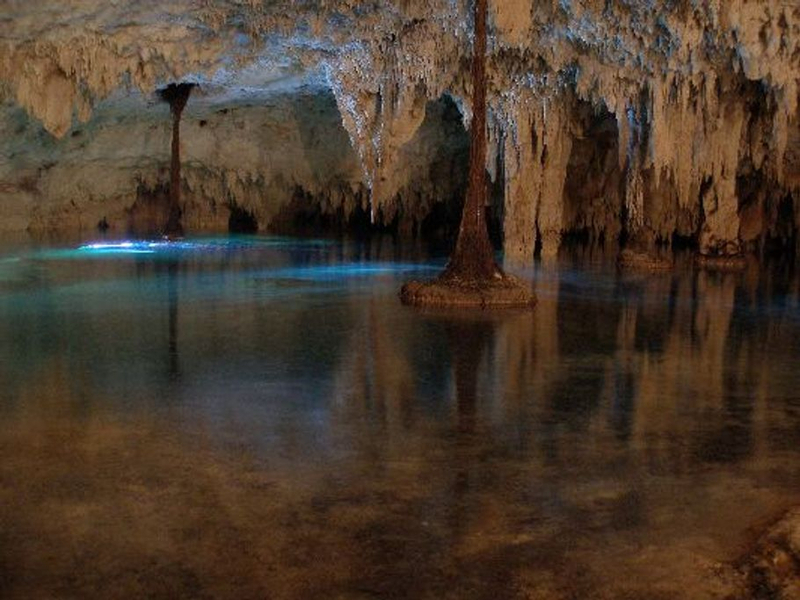 Pet Cemetery is a very beautiful cenote deep inside the jungle which is accessed via the Dos Ojos cenotes entrance from where it will take about a 20 minutes drive over a rough trail. 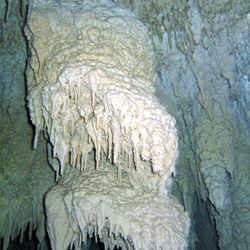 It got its name due to the various animal skeletons found in the cenote one of which are the fossilized remains of an extinct prehistoric camel. 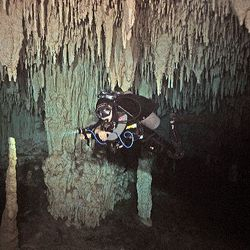 This cenote belongs to the second longest underwater cave system in the world, Cenotes Sac Aktun. Most part of Pet Cemetery is very shallow with a depth of about 3 m/10 ft on average. 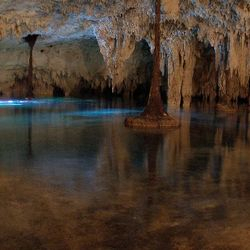 It is one of the most decorated cenotes with white delicate formations such as stalactites, stalagmites and columns in an amazing clearness of water creating a mirror like effect in a crystal palace. 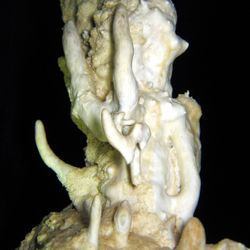 This dive requires excellent buoyancy control and awareness to avoid damaging any of the very fragile formations.